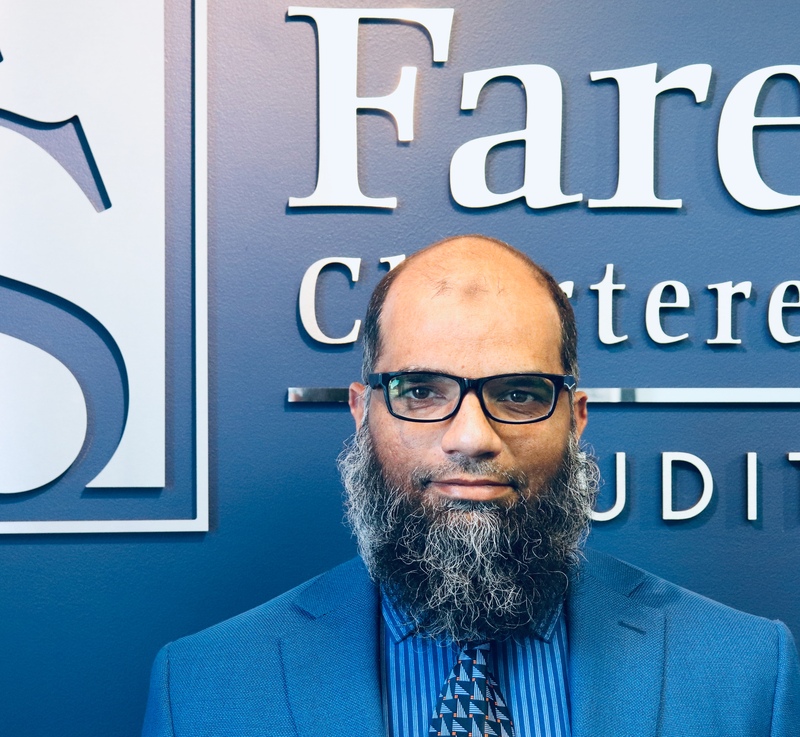 Fareed is Chartered Professional Accountant from the CPA Ontario and from the Indian Institute of Chartered Accountants and Certified Fraud Examiner. He has over two decades experience in Audit, Tax and Consulting engagements across different industries. 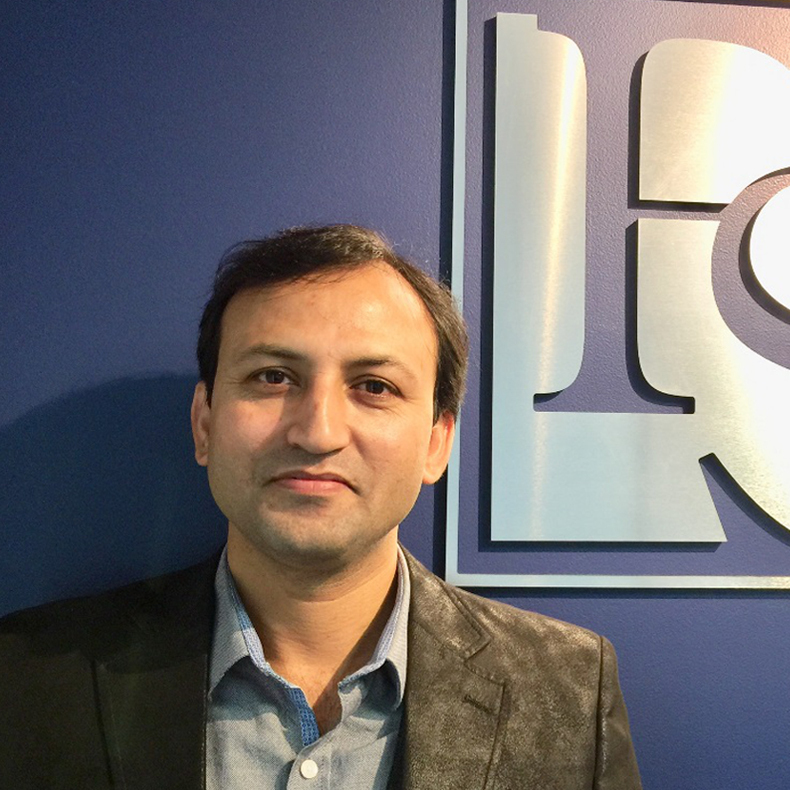 He has worked for Ernst & Young in India and Deloitte in Canada exposing himself to different compliance and accounting issues faced by fortune 500 companies. He has also served in the industry for a short time as group internal auditor for a leading service Organization. His areas of specialization include Audits, SOX and Bill 198 compliance audits, COSO, internal control documentation and testing. An active member in community work, Fareed is a volunteer for the free tax clinics organized by the CPA Canada to prepare free tax returns for the low-income group. Fareed also organizes park cleanup programs for the city of Mississauga through ICNA Community Link. Fareed is on the board of few charity organizations. 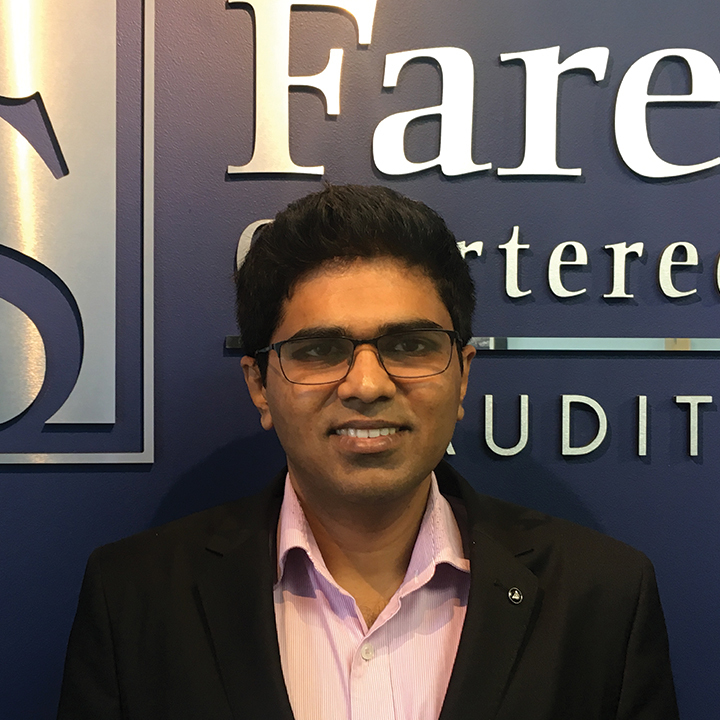 Fareed conducts regular seminars and workshops to educate the businessmen and community tax and financial matters. 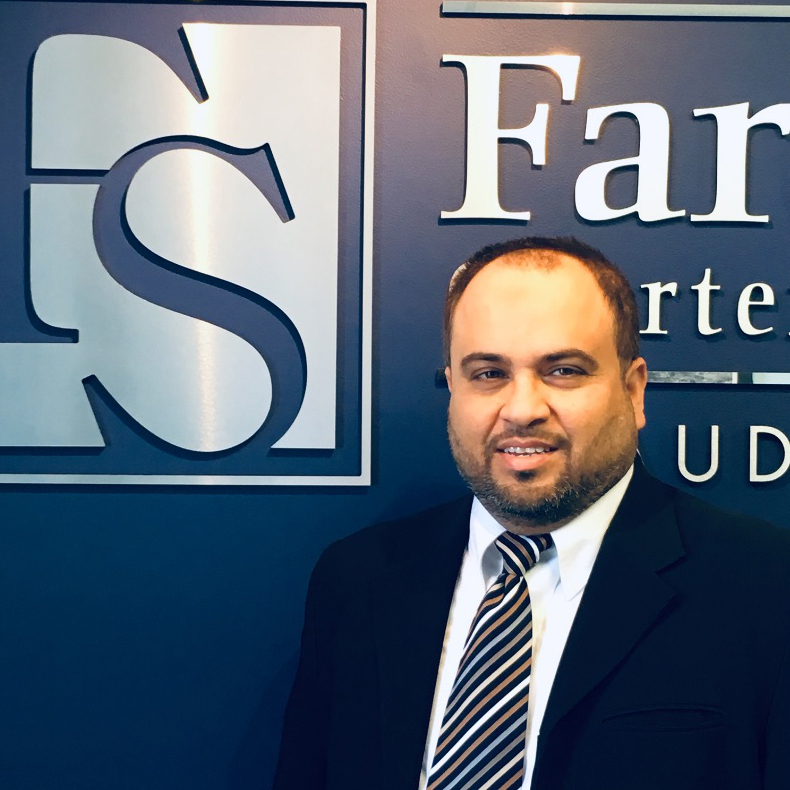 Fareed is married and is father of four lovely daughters. Moncef is Chartered Professional Accountant and Certified General Accountant (CPA, CGA) from CPA Ontario and holds a University degree (B.A) in Management Accounting. Moncef is fluent in French, English ,Arabic and able to serve clients in either language. Moncef has over 15 years’ experience in the accounting industry working in a great variety of industries Including hospitality, health care and professional corporations. He has worked with companies ranging from small to large. He is comfortable providing tax, year-end financials, and controller services. Away from work, Moncef enjoys staying active, playing soccer and cycling. 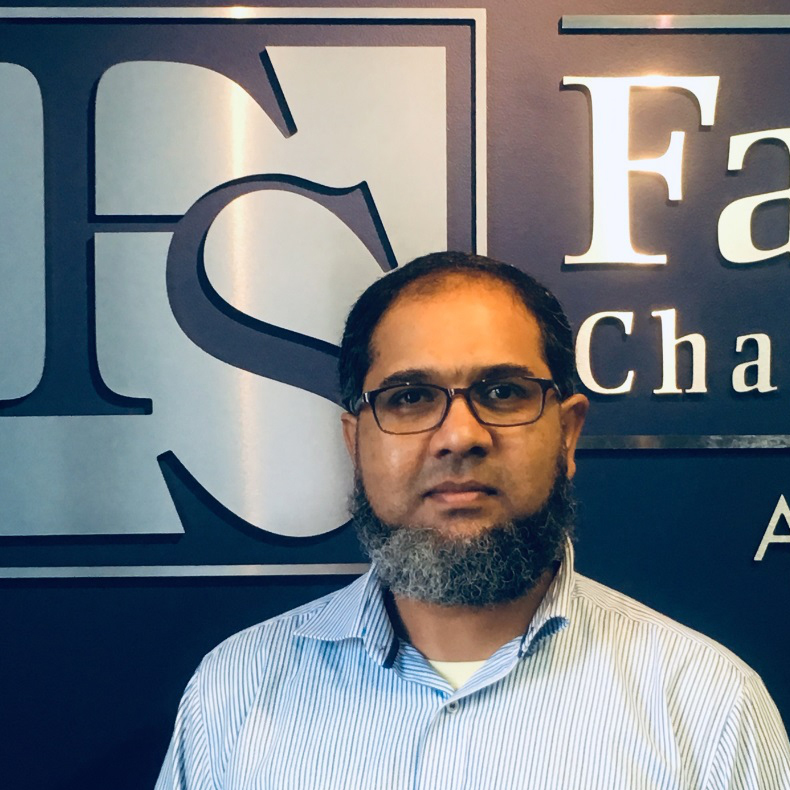 Asif is responsible for Administration of Office, and Book keeping, Payroll, Taxes, SOX testing and preparation of Financial Statements for a diverse portfolio of clients. Asif is Certified Payroll Compliance Practitioner (PCP) and graduated from University of Madras, India and holding Diploma in Business Administration from AICTE, India. He is also Professional Cricket Umpire in the local league (BEDCL) and Awarded as Best Umpire for the year 2009, 2010 and 2011. Rajeev is a seasoned risk consultant having more than 5 years experience in audit planning, data analysis, execution and reporting. He has a demonstrable knowledge of business and processes; risk evaluation, mitigation through internal control and process deficiencies. He has previously worked with PwC and KPMG. He is well versed in Ms-Excel, Ms-Word, PowerPoint and SAP. Rajeev is currently working towards CPA Canada designation; passed CISA examination, awaiting membership. Rajeev cherishes the ideals of team work and determination. He likes travelling and is an admirer of arts. Shah is a diversified accounting professional with over 10 years of experience in Audit, Bookkeeping and Taxation. He has Bachelor’s and Master’s degrees in Commerce from the University of Meerut (India) and pursuing CA designation. He also holds the Accounting Technician Certificate from The Institute of Chartered Accountants of India. 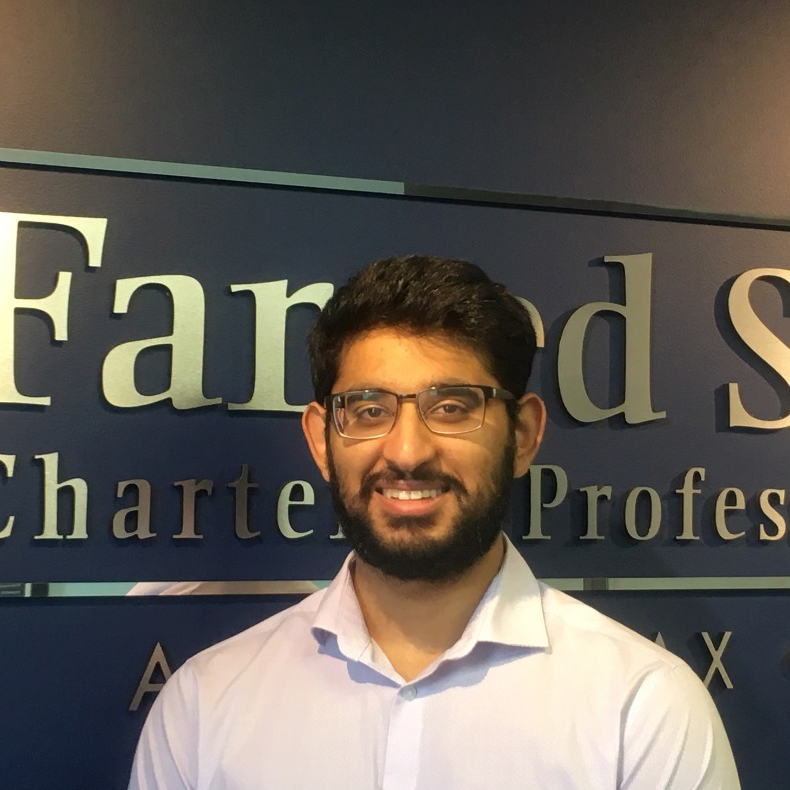 Shah has strong analytical and communication skills and has excellent Customer Service skills for that he was awarded employee of the year award in 2014. He is motivated, highly organized, team player, detail oriented and proficient in assignment completion. He loves to play basketball and handball. He played basketball as captain of the team at national level. Sudha holds master’s degree in mathematics from India and certificate course in Payroll accounting and Quick Books in Canada. She is responsible for bookkeeping / accounting and compilation engagements for a diverse group of the firm clients. 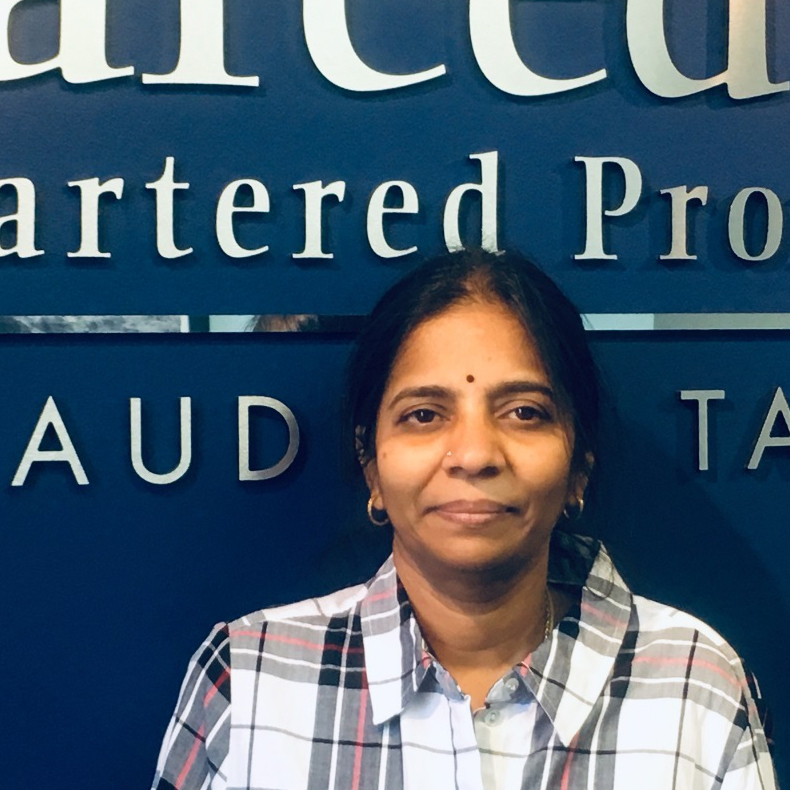 Prior to joining the firm Sudha worked for a Chartered Accountants firm in India. She has more than 4 years of accounting experience in Canada. Shakeel is a sports lover and likes to socialize. Aadil hobbies include going to gym and is a big user of Netflix.